In this post I begin a second multi-part “Let’s” series (the first being “Let’s make a Book Trailer”). This series is concerned with discovering your author brand. 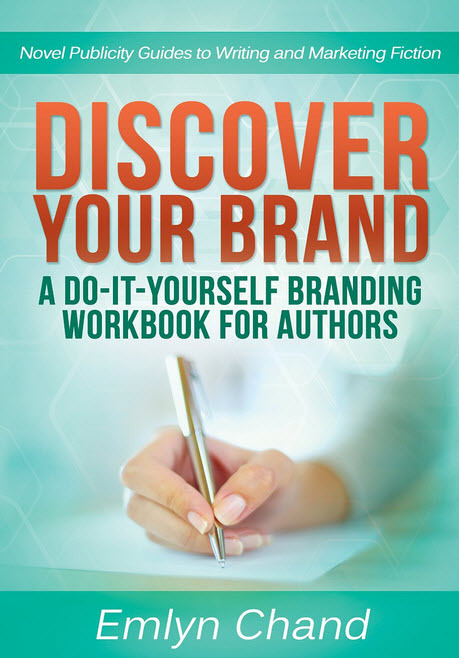 I’ll work through Emlyn Chand’s and Robb Grindstaff’s book Discover Your Brand: A Do-it-Yourself Branding Workbook for Authors chapter by chapter. I’ll provide my comments and discoveries as the blog series progresses, using myself as a guinea pig. Before we get started though, we’ll need a little background. Branding is big for indie authors according to many of the author blogs that I follow. Your brand helps determine to whom you will sell your books, who will follow you on social media, and who will visit and read your blog. 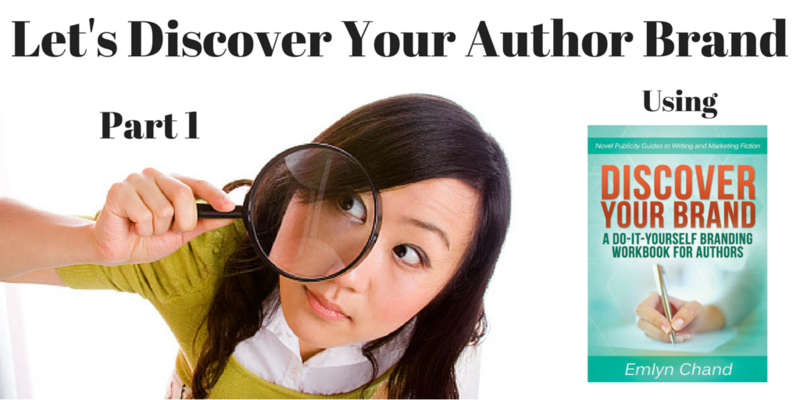 Your brand is integral to building your author platform. Put simply, your “brand” is what your prospect thinks of when he or she hears your brand name. It’s everything the public thinks it knows about your name brand offering—both factual (e.g. It comes in a robin’s-egg-blue box), and emotional (e.g. It’s romantic). Your brand name exists objectively; people can see it. It’s fixed. But your brand exists only in someone’s mind. Your brand is what your prospective readers think of when they hear your name. It’s everything they think they know about your writing, both factual (e.g. you write epic fantasy novels) and emotional (e.g. you’re funny and down-to-earth). Your brand name — your author name — exists objectively; people can see it. It’s fixed. But your brand exists only in someone’s mind. There are many, many others packed with great information. The first is easily addressed. You read a good definition at the start of the this post. In addition, the links I posted above either define “author brand” explicitly or provide so much context and information you can easily infer the meaning of the phrase. Finally, you can certainly google the phrase. The second is a bit trickier. You have an idea for a book, or even several books, and you have an idea who you readers will be. But how will you appear to your readers, both potential or actual is something of a mystery. Alternatively, suppose you have at least one published book, but for some reason sales are lagging. It could be that your potential audience really doesn’t have a clear idea of the concepts, ideas, or feelings that you wish to have associated with you. In other words they are unclear on your brand. Or maybe, like me, you think you have an idea of your brand and you want a method of validating your thoughts. How do you take your ideas and notions regarding your writing and crystallize them into a definable, promotable brand — your brand? Well, you could pick up a copy of Discover Your Brand: A Do-it-Yourself Branding Workbook for Authors and work through it. I decided to do exactly that. I had purchased the book back in March 2015, fully intending to use it, but somehow never really getting around to doing anything more than flip through the pages. Starting this month I resolved to work the book rigorously, documenting my results and comments to see if I really did understand my brand. I hope that my results and methods will prove useful to you as well. Next time — Chapters 1 and 2 of Discover Your Brand. Thanks for reading, and I will see you again soon.